The Grammys giveth and the Grammys taketh away: A year after expanding the nominee pool for their big four categories, the Recording Academy has announced that all artists will now have less time to make the cut for next year’s awards show. 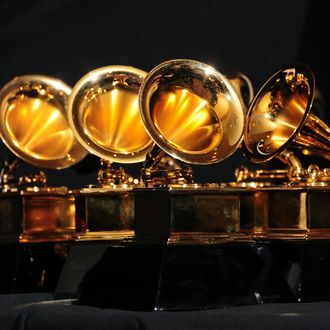 The eligibility period for the 2020 Grammys is being slashed by a month, now ending on August 31 rather than the usual September 30, meaning next year’s nominees will have had only 11 months to qualify. (Eligible music will have to be released between October 1, 2018 and August 31, 2019.) The change was made to accommodate next year’s show being moved up two weeks, to January 26, due to the Oscars moving up their show to February 9. (We’re getting a Grammys-Super Bowl–Oscars triple whammy back-to-back-to-back Sundays next year. Pour your local blogger a drink!) This is only the second time in Grammys history that they’ve moved up the eligibility date; the last was in 2009 for the 2010 show, also for scheduling reasons. Of course, plenty of music’s big dogs have shunned the institution in recent years, so the new rule change likely won’t affect whatever surprise late-year plans they’ve got stewing. But the rest of the industry might still feel it — if anything, the once-quiet August doldrums could now become packed with last-minute releases up to the deadline, while the rest of the summer will probably be even busier than usual. As for the year’s best fall releases (or any albums released after September 1)? We’ll now still be talking about them in 2021, when they finally become eligible for a Grammy. Or there’ll be nothing left to talk about by then: Perhaps, with few wanting to be left out of next year’s Grammys discourse, this’ll put an end to the big fall release — a season once dominated by pop stars and the Christmas-album crowd.